Born in Dublin. Ross is from Skerries. He joined the club this year after a rugby playing career in Skerries RFC. At present he combines coaching the Trinity U20s Pennant with being Head Coach of Skerries Community College JCT, where he has enjoyed much success over the past 6 years in various coaching roles. Prior to this Ross coached Skerries RFC U17s. As a player Ross was also involved in the squad which won the All Ireland League Title in 2010/2011 for Old Belvedere Rugby Club and was part of the Skerries RFC team which gained promotion to A.I.L and to 2A league along with winning the Leinster Shield. Ross played his college rugby at Northumbria University from 2003 to 2006. Outside rugby Ross spends some of his spare time on the water. A keen powerboater. He is also an I.S.A power boat instructor. Michael played for Trinity for 4 years and has been coaching in Gonzaga College, Northumbria University (UK) and DUFC for the past 10 years. Michael played out half for Trinity College for 4 years, 2005 – 2009. After college he joined Wanderers RFC for a season before moving to the UK to study a Masters in Sports Business. While studying he played for the mens XV and coached the womens XV. He joined the coaching staff in Trinity last season upon his return to Dublin and has been a welcome addition since – ‘a mini Smeeth’ apparently! 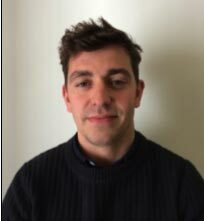 Michael works in the Commercial Team in Betfair and is responsible for putting their sponsorship deals in place and managing these partnerships.